Welcome to Soul Disruption. We are currently re-opening meaning that you can start working on applications asap! Be sure to finish them so you can grab your rank while you can. The Chaos is about to unleash within the soul disruption world once again. This area is purely dedicated to guide you and bring to you the laws and regulations of the site. It is highly recommended that you read the information in this section and abide by it. Soul Disruption is an AU [Alternate Universe] Bleach kind of site, so some things differ from the actual Bleach series. For those who wish to have all the information on their race and the races of others, you can find that information here. This sub-forum contains all sorts of different information about the Races of SD. Please visit this area whenever a new post or topic appears. These topics/posts may turn out to be of great importance. Your general site changes, and news on upcoming events may be posted in this area. The affiliation and advertisement area is for those who wish to affiliate their sites with this one. Any site affiliation will need the approval of certain administrators and other heads of the site. Please post here in order to introduce yourself to the SD community. Please post here in order to announce your departure from the site. This way, no one will be left in the loop, and others won't feel abandoned especially where role-playing is concerned. This is the place to post topics in regards to site activity, and the rewards granted for such activity. Please post here if you believe you have what it takes, to moderate this site. Please be aware that it can be quite a bit of work and will take some effort. Please visit this area for race related missions, and those that are posted for the body hunters and hit men of the site. This area is where you post all your WORK IN PROGRESS[WIPs] applications for whatever they belong to. You can post as many as you want here. They won't be questioned on completion and can remain here as long as you need. Then when you're done you can copy and paste the finished app to the appropriate section. KEEP ALL WIPs HERE!! Post in this section and register your character. Here you can create your abilities depending on the race you chose. Shinigami can make their Zanpaktous here, Bout can make their Dolls, etc. Register your inventions in this section. Have something new for your character you would like to buy or you trained for something and you would like to finalize it. Post here but remember 1 topic per character. This area has been designated for the sole purpose of members requesting NPC characters. Karakura Town (空座町, Karakurachō; lit. 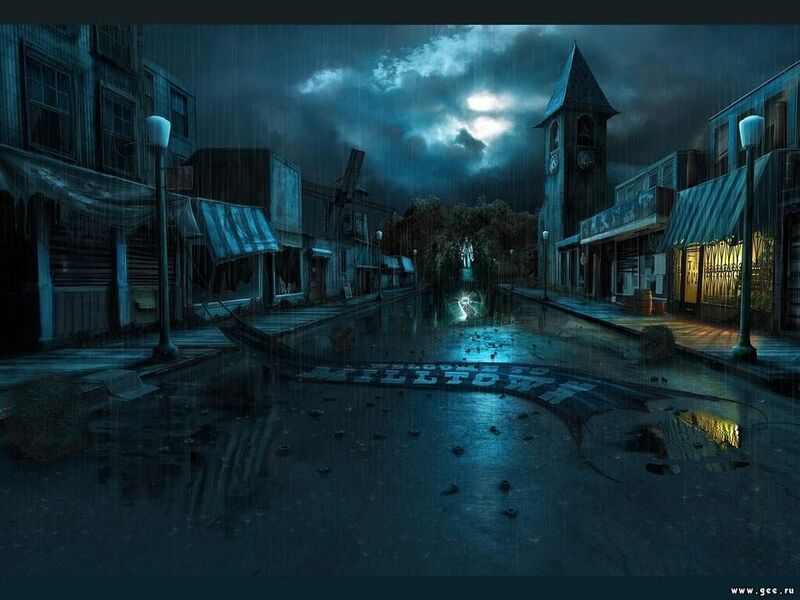 Empty Seat Town) is a City in the Realm Of the Humans. That is famous for its enriched Spiritual beings, which often attracts Hollows to the town. Shinigami and Hollows are most frequent in this area. Apart from the main focal point of the Bleach universe that is Karakura Town. These areas are also inhabited by other spiritual beings, though not as abundant as Karakura Town itself. In these areas you may find Bounto, Awakened Humans and maybe other Quincy. Hollows and Shinigami may also visit these places from time to time. The Dangai was originally both a penal colony and a passage to the Human World. The Kōryū (拘流, Wresting Flow) and the Kōtotsu (拘突, Wresting-Surge) are remnants of its time as a penal colony, they also act as means of defence against unwanted intruders. The Dangai is an isolated space which is surrounded by numerous stacked-up layers of time's current, resulting in it being a place where the density of time within it is extremely high when compared to other exterior dimensions. To be precise it is over 2,000 times denser, meaning that when one hour passes in outside worlds, an equivalent of 2,000 hours pass inside the Dangai. The Kōtotsu exists to stop anyone from lingering in the Dangai and possibly exploiting this time distortion. The Kyōgoku (叫谷, Valley of Screams) is a dimension that forms in between the Human World and the Soul Society, stemmed from the Dangai Precipice World. It can only be accessed from the Human World. Blanks resided in this place, separated from their memories until they come in contact with the Shinenju. It is a regular occurrence that happens naturally due to souls getting lost trying to get to Soul Society. This is in the center of Soul Society, a circular castle-like city with four main entrances, each guarded by a Gate Guardian. The walls of Seireitei are made of spirit reducing stone. The stone also forms a spherical barrier around the city which stops anything spiritual from breaching it. The Shinō Academy is the primary education center for prospective Shinigami. It specializes in teaching the four branches of Shinigami combat: Hohō, Kidō, Hakuda and Zanjutsu. It is the largest portion of Soul Society and the most populated. It is divided into 320 districts, laying outside the walls of Seireitei it is a rather poor place, full of small villages and souls living there. The dark void is used by Hollows that travels to and fro the Realm of the Humans. Once a Garagunta is opened, the Garagunta will lead those using it through this dark space. This is the vast and empty white desert. 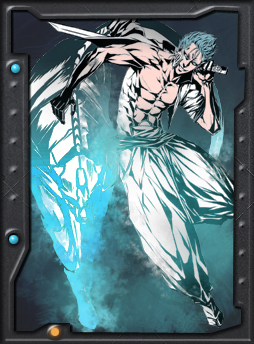 This place is home to many dangerous hollow and Arrancar that travel through these sands. Only the strongest of hollows seem to make it to this land, the weaker ones perishing quickly usually because they are devoured or destroyed by a stronger hollow. A forest that lies beneath the lands, a lower level of the realm. Many Menos thrive here, along with adjuchas and many untamed and dangerous hollows. Here hollows fight to survive and get to the top, many menos being formed and travel in packs and groups to try and become stronger. Las Noches is a massive fortress which can be seen for miles. It consists of a main building with a domed center surrounded by several large towers and smaller buildings. Atop the dome are five smaller towers, which appear to contain areas such as Horus's throne room and the Espada meeting hall. This forum is for all the artists and GFX crazy people out there, to show off their work. Have fun! This is the place where members of the site can make suggestions. These suggestions could be about site improvement or an array of things. We will try our best to acknowledge these suggestions and act on them. All arguments concerning unfairness, god-modding, meta-gaming and IC related incidents come here. If you are not certain about something that has to do with the forum. You can post here and ask for the much needed help. The staff or other membrs of the site will try to answer your questions. Discuss/Debate/Praise various Mangas, Animes, Television Shows, Movies, Music, Games, and more. Need to brush up on your skills? Come start a topic here and practice your battle skills. Remember this doesn't affect your current In Character topics in any way shape or form. Stuck in a topic? Still want to RP? Create a topic here. It will not affect your character's current Topic so you can post freely here. Happy Roleplaying. You could even think up different story lines for your character that you control to your leisure. The Colosseum is where staff will host annual Forum contests. Prizes and Awards are to be won. Fight if you dare against your fellow members. The life's pendulo is where you will come to relive past events. This could be vital when explaining certain events that might have affected your character. Happy Role playing and try to make it interesting.